A set of seven discrete but overlapping research and editorial case studies focussing on the epistolary activities and legacies of some key figures in early modern science. The creation of new digital systems capable of organising metadata and other resources generated by these projects into a union catalogue and archive of early modern correspondence. Inspiring academic meetings designed to forge new conceptual frameworks for letters and build a research community coextensive with the networks under investigation. The ultimate objective of Cultures of Knowledge is to use the intellectual networks and epistolary cultures of the seventeenth century as a means of connecting transnational interdisciplinary research across the broad field of early modern intellectual history. 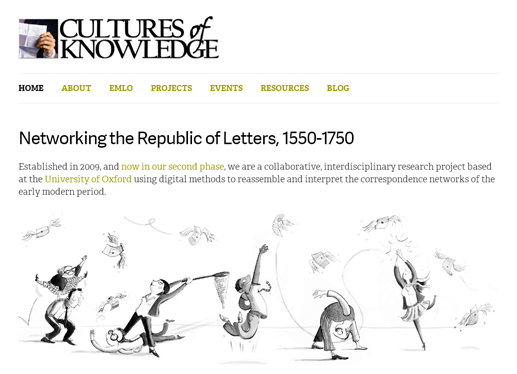 Established in 2009, Cultures of Knowledge is a collaborative, interdisciplinary research project based at the University of Oxford with funding from The Andrew W. Mellon Foundation. 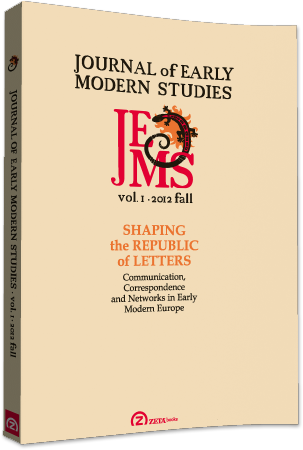 We are using a variety of methods to reconstruct and interpret the correspondence networks central to the revolutionary intellectual developments of the early modern period.